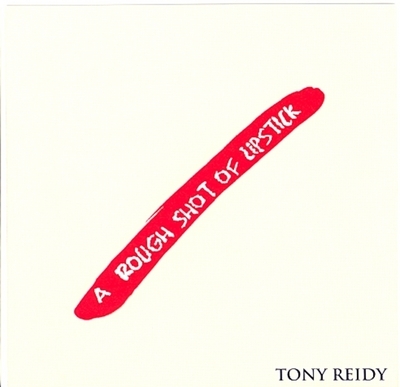 TONY REIDY'S second album is packed full of well-crafted, perceptive songs of Mayo life, work, exile, love and betrayal, delivered in a style which, while unmistakably rooted in Irish folk traditions, displays a host wider musical influences, ranging from Dylan to Tex Mex and bluegrass. Recorded in Paul Gurney's studio in Longford, the album is produced by ex-Dervish multi-instrumentalist and producer Seamie O'Dowd. Gurney (keyboards/piano/accordian) and O'Dowd (guitars/harmonica/mandolin/fiddle/bassvocals) accompany Reidy throughout as does Kevin Doherty (double bass). He may not thank me for it, but there's much in Reidy's vocal and lyrical style which reminds me of Christy Moore. By that, I do not mean that Reidy is in any way derivative or a pale imitation of the great man. His warm west-of-Ireland vocal sound is most definitely his own, while the songs, many of which display a bitter-sweet quality, represent as fine and original a collection as this reviewer has heard in a good while. 'Island Boys', for example, captures the mixed emotions born of feelings of inevitability and loss, tinged with transformation, brought about by the need of a small and remote island community to send its young across to the Irish mainland for schooling. And there's something distinctly sinister about the priest in 'Seventh Son' with his "direct line to the man above" and claims to be able to "heal" all manner of ills while at the same time 'preying' on his flock's weaknesses and laying hands on their pockets as well as their ailing bodies and souls. By way of contrast, the priest in Sean na Sagart, a song about spying and betrayal at the times of the penal laws, is treated with less ambiguity. But, while he is able to forgive the murdered traitor, those around him "the people" continue to reek their vengeance by digging up the the betrayer's bones and throwing them into the river. In 'If This is Progress', Reidy is at his most caustic. The song is a indictment of the hypocrisy, greed and betrayal of politicians and church in modern Ireland, "... a nation that has nothing to say". Tinged in the faded hopes of 60s radicalism the song points to the growing divisions between rich and poor and laments the bland corporate takeover which has accompanied the era of the so-called Celtic Tiger. Yet it's not all doom and gloom and the love songs 'Fool For You' and the album's title track 'Rough Shot of Lipstick' are full of tenderness, humanity and subtle imagery. Then there's the tragic-comic humour of 'Job as a Clown', where the subject gets turned down for the job despite having gone to circus school and being able to eat fire, walk on stilts, juggle and dance. "They could see it in my face/There's more to being a clown than clownin' around". As with his debut album, The Coldest Day in Winter, several of the songs refer affectionately to his roots and life in Co. Mayo. The boys in 'Island Boys', come from Inisturk, off Ireland's west coast, Reidy informs in his liner notes, and you can almost feel the rain in the air and smell the peat bogs in 'The Boy in the Gap' and 'I'm a Mayo Man'. This is a beautifully produced album from a fine songwriter who deserves to be better known.If he continues to produce albums of the quality of this, he surely will be. This document was last modified by David Granville on 2007-02-10 15:49:31.